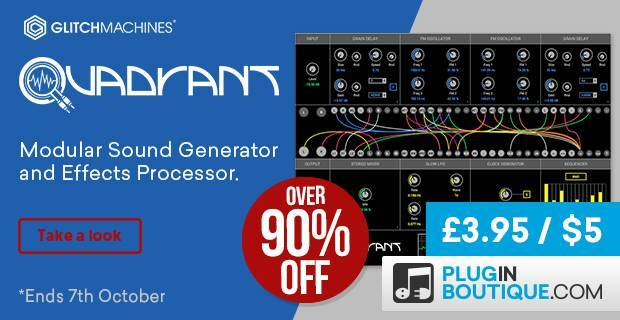 Glitchmachines Quadrant sale at Plugin Boutique with 92% off! A great deal for all sound designers out there… A fully hybrid modular plugin with over 1500 Modular Synth Samples built-in. Buy now for only £3.95 / $5.00.